February 6, 2017 • 2521 × 1415 • “Yemenis dream” mural by: Thiyazen Alalawi, in “Ruins Campaign”. Feb.6,2017. 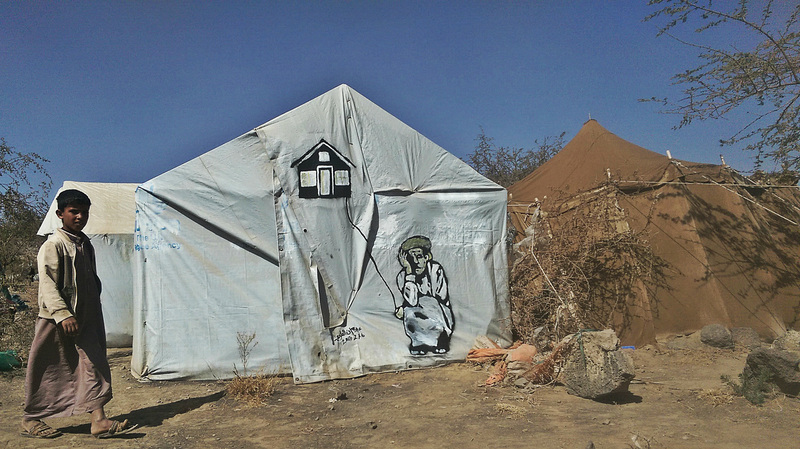 Mural by the artist: Thiyazen Alalawi “Yemeni Dream” Ruins campaign, about displacement people in Amran gov. 6th Feb 2017.